If Carmelo Militano fans have been longing for a new book of poems, The Stone Mason’s Notebook, Militano’s fifth collection, is a welcome gift of thoughtful lyrical exploration of love, of human existence, of personal history and the importance of place, and above all, of the drive to create. Whether set in the poet’s native Calabria or in Winnipeg, his hometown—or an abode in his mind’s eye—his poems invite the reader into a place of mythical vision, at once real and surreal. Militano takes the reader on a journey, from the dark corridors of Modigliani’s “La Rotonde” he describes as “windowless and dark like his [Modigliani’s] eyes,” through the “sweet mutterings of birds at dusk in summer,” and “eternal … Paris sky,” hence inviting the reader to submerge into Modigliani’s artistic milieu. The poem ends in a witty and clever stanza, “I [Modigliani] suffer for my art unlike that fraud Picasso,” and leaves the reader with a chuckle and admiration for Militano’s witty way of hinting at Modigliani’s collegial rivalry with his peers, including Picasso who, as Militano informs us in his Acknowledgements, led the procession at Modigliani’s funeral and was crushed by the artist’s early death at the age of thirty five. Militano’s poems embody various themes and blend occurrences from his own life with scenes from the lives of artists from the past, thus relating current events to historical ones, and painting an artistic milieu of congeniality and conviviality, where, as seen in “La Rotonde,” the artists could introduce, showcase, and nurture each other’s art—not unlike Militano’s own artistic ambiance enriched by the network of writers, artists, and art lovers from all walks of life. 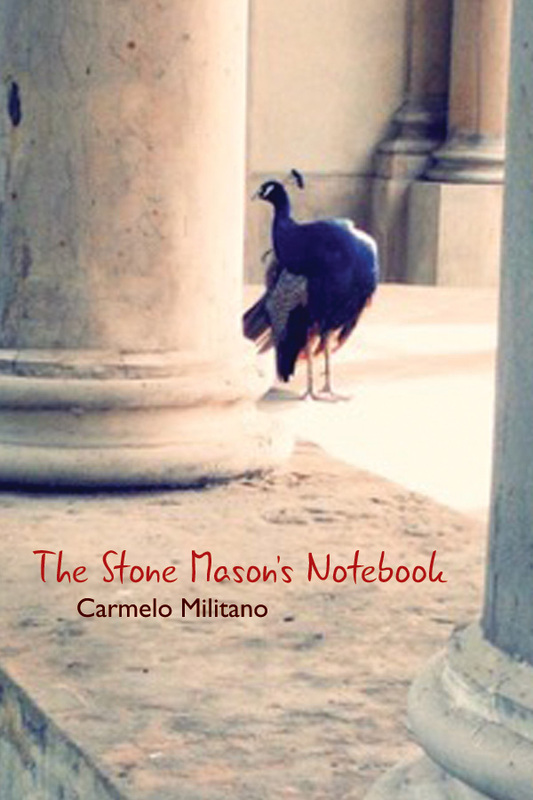 Carmelo Militano’s The Stone Mason’s Notebook has been referred to as lyrical, passionate, reflective, ironic, and wise. It is an invite to enter the poet’s world, journey through his mythical vision, and emerge enlightened. Bianca Lakoseljac is a Toronto poet, novelist, short story writer, essayist, book reviewer, and educator. Her latest book, Stone Woman—a novel that relives Toronto’s 1967 summer of love—was published in fall 2016, by Guernica Editions. Her poems have appeared in various anthologies such as 50+ Poems for Gordon Lightfoot. www.biancalakoseljac.ca.